Opal Cowan has lost her powers. She can no longer create glass magic. More, she's immune to the effects of magic. Opal is now an outsider looking in, spying through the glass on those with the powers she once had, powers that make a difference in the world. Until spying through the glass becomes her new power. Suddenly, the beautiful pieces she makes flash in the presence of magic. And then she discovers that someone has stolen some of her blood--and that finding it might let her regain her powers. 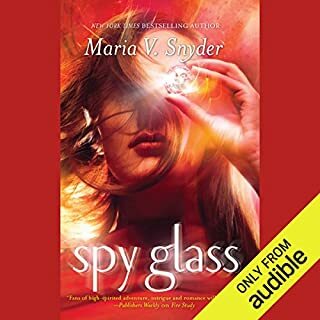 Would you consider the audio edition of Spy Glass to be better than the print version? I haven't read the print version but I feel it would be better because Van Dyck does not do Snyder's work justice. Would you be willing to try another one of Jennifer Van Dyck’s performances? I love Snyder's books but this series was a bit of a trial for me because of the narrator. She reads in halting sentences, adding pauses and drama where there shouldn't be any... it's truly awful. Instead of losing myself in the story, I am constantly thinking about the narration. 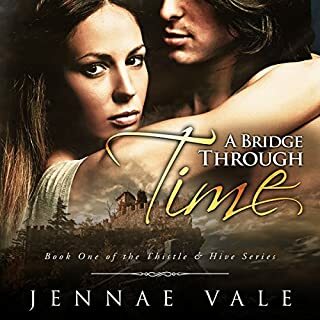 This series is a nice series and I would still recommend it but you will have to be very forgiving of the narration. Ms. Snyder: please, please, please go back to using Zackman as a narrator (or someone other than Van Dyck).